Beauty trolley with 3 trays and handy bowl with holder. 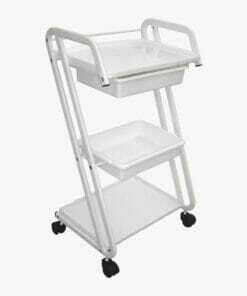 Direct Salon Furniture Beauty Trolley. 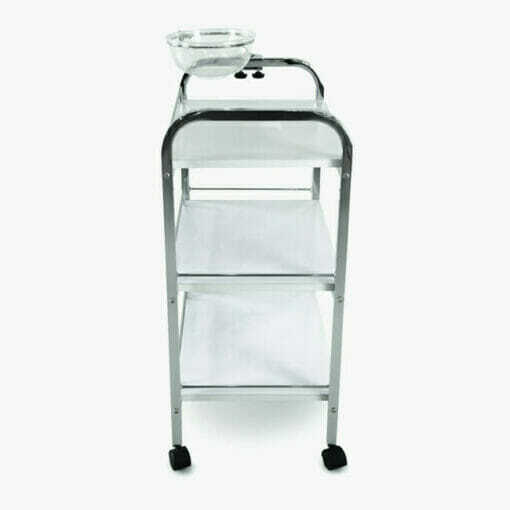 Chrome finished beauty trolley with 3 trays, bowl and holder. 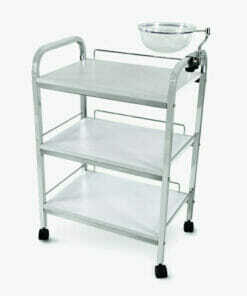 Sizes: Width 45cm, Height 77cm, Depth 35cm. 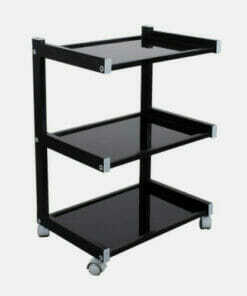 Wooden Trolley with three shelves and one locking drawer, ideal for beauty salons and spa's. 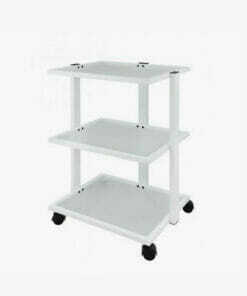 Wooden Trolley with two shelves, two locking drawers, and metal sides all finished in White. 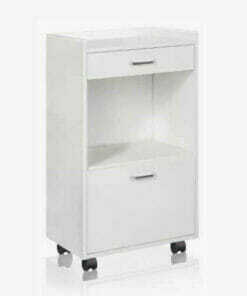 Features 3 easy to clean wooden shelves, mag lamp holder and a locking castor base. 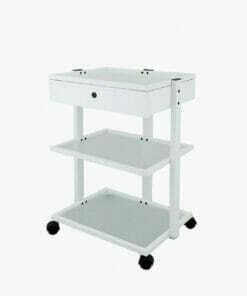 Luxury, well built beauty trolley suitable for all salons or spas. 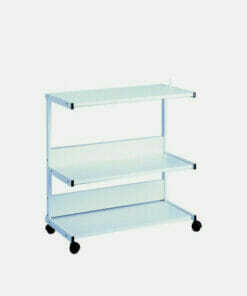 Features three spacious shelves with toughened glass ideal for placing equipment or products on. 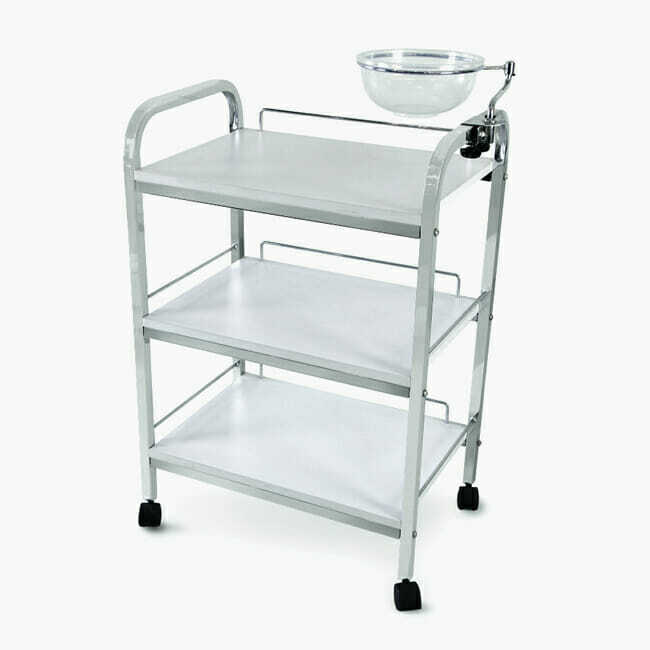 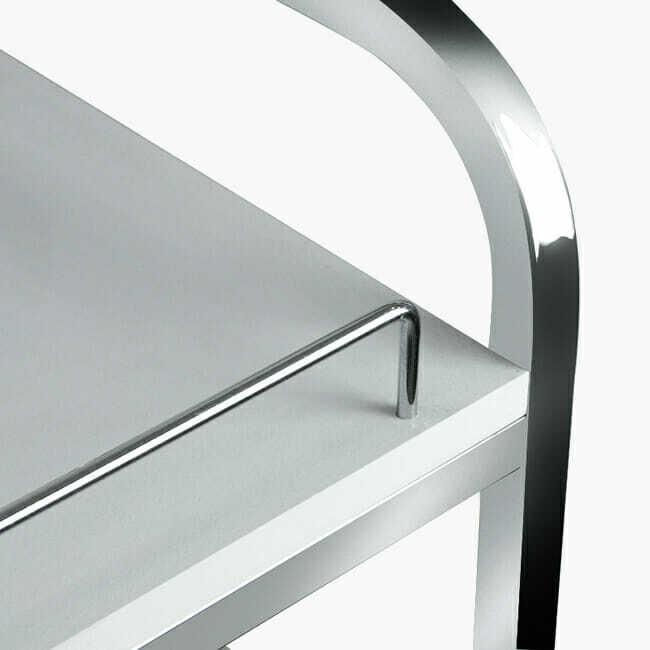 Sturdy beauty trolley with two sliding drawers, a flat work surface and four caster wheels. 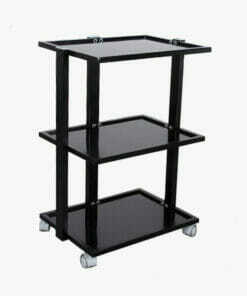 Black trolley with 3 spacious glass shelves which are toughened and easy to clean. 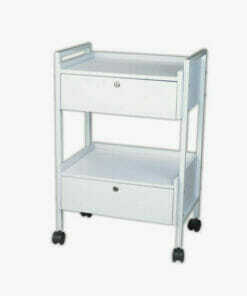 Beauty trolley with 3 shelves and drawer ideal for placing your everyday tools and products. 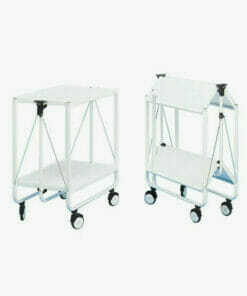 Very sturdy yet lightweight trolley. 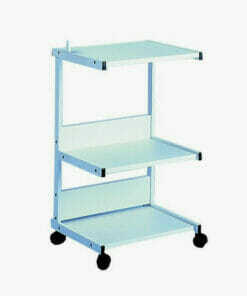 It has 2 large shelves and large easy glide wheels.